In the same way that Google has directed significant resources and funding to ensure that Android and ChromeOS work fairly flawlessly in comparison to windows 8/mobile and iOS, and likewise for which RedHat has done for their Enterprise Linux Server OS, LinuxMint, PCLinuxOS and several other of the better known and even better quality non-commercial (except in small way) Linux distributions do not have the resources and almost unlimited funds to make “almost perfect”. Therefore this article, and Ken Starks unreasonable and unrealistic expectations represent a bad comparison, like putting a professionally large corporation cultivated Apples up against home growm amateur vinyard apples for comparison. I have no doubt that if LinuxMint was suddenly funded by a multi-billion $$dollar corporation to make Mint as good as or better than Android, the results would be pleasantly surprising, even if not overwhelming so. 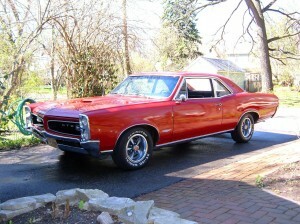 Lady, if you know what a 1966 Goat is, you’re all right, even if you’re too young to have ever driven one. Linux was fun back the good ol’ days. A friend set me up some version of Red Hat on a 486 somebody had retired for a print server for my HP LJ4+ I got at a sale and wanted to use it for the entire family. NOBODY on the block had that. Then he set up another 486 for a dial-up router for us. I remember what a bolt from the blue it was when somebody told me you I didn’t have to reboot them every day or two. How coincidental. I’m sitting here being nostalgic about Fedora 14, the last release, I’m pretty sure, that used Gnome 2. While I see what you’re saying I dont believe this has anything to do with the success of Linux on the desktop. That has more to do with its availability pre-installed on desktops & laptops which even today is still a tiny % of computers which are sold. Android phones come with it already up and running ready to use, as do tablets. The only option for desktop Linux is to download an iso and burn it to a dvd or create a bootable usb, which is almost alien speak to the average computer user. That and the fear of them breaking their computers by doing things they don’t even understand puts most people off even considering it. I agree with this article. I’ve spent far too much time configuring my computer in the last 5 years, instead of using it. Fedora and Ubuntu are the only OS’s on my machine. It’s been that way for a long time. Before that, I used OSX, Irix and Solaris for many years. At this point, I’m just tired of tinkering and vi-ing config files to get things to work. I need a linux distro that “just works” out of the box, similar to OSX. I don’t care if it’s open source or closed source.. it just needs to work. I realize I can google to solve minor bugs, but I shouldn’t have to do that..nor do I give two shits to do so. I think I’m out of the linux game for a little while. I have too much work to do and have no time for editing config files, applications crashing, and geniuses with bad attitudes on support forums. While I’m sympathetic, and agree the situation (ie. nit-picking “bugs” in new Linux installs) needs improvement, I’m still not buying the argument. The reason that I’m still not buying the argument, is because I’m the informal tech support for relatives and some of my friends, who use Windows(*). Even though I have, including the notebook that lives in my backpack, three Linux computers, I spend less time installing, setting up and maintaining all three of them combined, than I spend helping with _any_one_ of my acquaintances systems. This was driven home recently, when the system disk of my main work computer failed, and I decided to try Linux Mint on the replacement harddrive. This argument really only stands up if one starts out by conceding that Windows has already become almost irrelevant. *) Also, my one friend who’s switched to Mac, would be lost without her Mac-expert friend to help her out with supposedly “easy” things. I moved to Linux about 6 years ago when installing Ubuntu 8.04 and there were no problems with peripherals, printers and internet connection. However USB-modems were an issue when i was forced to use it after 2010. The lesson was this one: when you got new device you better have a new operation system version of what ever distro. CentOS 6.5 didn’t recognize my Huawei USB modem, nor did even Linux Mint 9 in spring 2012. Luckily i had just released Ubuntu 12.04 live CD. I installed Ubuntu 12.04 and got that connection. When rebooting to Mint 9 my machine was still online. When i shut down computer and then booted it to Mint 9 i was offline. Old distribution version and brand new device (Wifi/USB modem) is still an issue. For instance CentOS 7 couldn’t recognize and mount my Seagate external drive but Mint 13, Mint 17 and all the other recent ones have no problems with that Seagate at all. Ah, yes, I remember the good old days of Linux. Suse 4.3 or so back in 1998, followed by Red Had 6.0 (from the CD that came with the 800-page book), and finally Mandrake 7.0, which was extremely easy to install. I dropped Windows back in 1999 and I did not even know it existed until I left academia in 2008 and was surprised to see that in industry almost everyone used Windows! In my experience, Linux had reached a high point in 2004 (It was called “the year of the Linux desktop”, remember? ), at which point the emphasis moved from functionality to polish. That is possibly why bugs in functionality tend to be neglected in favor of extra polish. I still buy only parts and assemble my own desktop machines, and I still have to play command line tools, for example when installing CUDA and the I have to stop the nouveau driver before doing so. Nowadays hardware is so cheap, that I always check first if something is supported in Linux before buying. If I am to complain, I really hate the fact that in Suse 13.1 which I am running now, you can mount a USB device, yet, nothing shows up in the /media directory. The location has changed with every version of the distribution. However, these are small annoyances, compared with the advantage of having free/libre access to so much functionality. The commercial counterparts to most FOSS tools have lots of polish/bells/whistles, but they are not only extremely expensive, they are also very restrictive in their use. I have been installing linux on servers since 1996 and have been a fan of the OS since. One thing was always clear as day to me: nobody – except a few, extremely pain tolerant people – ever wanted to put up with the kind of cr@p this article describes. That was the main reason for Linux’s failure on the desktop, no matter how loud usenet, IRC, and the forums which followed whined about lusers and “no preinstalled”. I, for one, switched completely to a Linux desktop only when I was reasonably sure to get a printing printer, a scanning scanner, a sounding sound card, etc. Two year and a half ago. And I still had adventures aplenty. In the long run, however, dealing with a few initial configuration glitches in Linux is less work than dealing with all the issues in Windows. Of course Windows isn’t nearly as bad as it was when everyone was using the DOS based series. Still in my experience people who know little about computers and use Linux machines that I have set up for them have fewer issues than people who have Windows machines that came pre-installed. It’s kind of funny that I, who prefers to use Linux, can run Windows with a lot fewer issues than the people that Windows is directed at. It’s rather unrealistic to expect a Linux distribution that you chose and installed on whatever random hardware you picked out or could just happen to get your hands on to have the same degree of initial polish as a Mac where every part of the hardware and software is determined beforehand by the same company. That doesn’t make the Mac better in the long run (and it certainly doesn’t make it less expensive). I prefer to have control of my own system, so Linux has more appeal for me than OS X or Windows machines. If you do the job, pay someone to do it for you, whether it ‘s MS or Apple upstream, or a Linux service man who earns a living with his expertise. If you don ‘t want ro pay, you ‘ll have to do the job. That ‘s how it goes since the start of civilisation. And I doubt every one can use a Windows PC or a Mac without getting his hands dirty at some point. CFWhitman you win! You’ve given a great description of the problem. Those of us who use Linux regularly are so spoiled by the things that work so well that when something doesn’t work on the first try it startles us. I installed a home network printer a few months ago and it was almost as much work as doing it in Windows. The previous four or five printers had already found themselves on the network and the driver was already in the list, so this was almost a shock. The bad thing is when one of these problems happens to somebody who doesn’t know what to do and doesn’t have a group of Linux-using friends to support him. I wish we had a help line like we OLD FOLKS can remember was available for WordPerfect 4.2 and before. The people new to Linux often don’t have the vocabulary or know the if-this then-that they need to know so they can identify the problem. I dont have the solution other than try to be available to help, and I have people to back me up when I hit a problem I haven’t seen. Everybody have a great week and don’t try to install a [no, I’m not going to tell you] printer. Ken is complaining about about a glass that’s 98% full, or as he sees it 2% empty. I’ve been using Linux since 1999 and I don’t remember a time when Linux didn’t work better than the contemporary version of Windows. Even though Linux was targeted at engineers it’s always been closer to the just works ideal than Windows. Yes you had to be careful about hardware, even today if you are using a brand new piece of hardware (for example Haswell motherboards) you better choose a cutting edge distro like Fedora, but if you do use a leading edge distro things mostly just work and when they don’t you can usually make them work. Now let’s look at Windows, which is targeted at an unsophisticated user base. It really needs to “just work” but it never has. Back when I started using Linux (Redhat 5 and then Redhat 6) the contempory version of Windows was Win98 which blue screened several times a day and was an ebola ward of virus’s, how did the average person use that? Redhat 6 never crashed on me, once installed it always worked. Fifteen years later we have Windows 8.1, have you used 8.1? I put Win 8.0 on one of my systems because I had a USB device that needed Windows. That turned out to be a mistake because it didn’t work on Windows 8 and even now, 18 months later, it still doesn’t work on Windows 8.1. I did get it to work on Scientfic Linux 6.5 even though it’s not officially supported there but when something is unsupported on WIndows it’s really unsupported, there is no way to fix it. OK that was an specialist device but what about a common device like an HP printer. I have an HP Officejet, it has an Ethernet port and a USB port. All of my Linux boxes (I have 12 running various flavors of Linux) see it and automatically configured it. Not Windows 8.1, the only way I got the printer to work on Win 8.1 was via a SAMBA export from my Fedora 20 box. It’s a friggin HP, the most popular printer company in the world, and it’s a five year old printer so the drivers have been available forever (and besides that HP has a unified driver for all of their printers) and yet Win 8.1 needs a Linux server to use it. Now lets talk UIs. Windows users are desperately unhappy with Windows 8. 8.0 was completely unusable, the old joke about Windows (your mouse has moved please restart machine for changes to take effect) was literally true for 8.0. If you accidentally opened a Metro app you had to reboot the machine to get out of it. 8.1 fixed that and I find it acceptable for casual use but I do all of my work on Linux so I don’t need much from Windows, just the ability to run Quickbooks. In the Linux world we’ve also had a couple of UI disasters, i.e. Gnome 3 and Unity. However we have choices. When Fedora 15 came out with Gnome 3 I stuck with 14 for a while, then moved to Scientific Linux 6 as my desktop which used Gnome 2, and then when they integrated MATE into Fedora 19 I moved back to Fedora, now I’m on Fedora 20 and MATE works great. If Ken is unhappy with KDE he should switch to MATE. Since he likes Debian distros he should use the MATE spin of Mint (which is MATE’s home distro). If he doesn’t like that then there is Cinnamon and who knows, for his user base maybe Gnome 3 or Unity would be a good choice. The point is there is a choice. I wonder if we’re getting away from the problem Ken is facing. It’s not his personal home computer or his office computer he’s writing about. His organization collects and refurbishes surplus computer from here, there, and yon, to be delivered to students one at a time, for use with their school work. I sent him a box with four or five laptop I had “inherited,” hoping his group could get something the students could use out of some of them. In a perfect world, he and his group would create a standard software configuration that will work for the largest number of people they can manage. That’s their Mint KDE adaptation. Also in a perfect world, they’d have all the computers from the same manufacturer and the same model, equipped identically with plenty of RAM, a reasonable-sized hard drive, audio system (“sound card”), video system (“video card” and monitor), and everything the recipient is going to need for the life of the computer. Oops! This is where it falls apart. The box of computers I sent him didn’t even have two from the same manufacturer. So the volunteers figure out how to make the various and variegated computers work the best they can, accommodating all the configuration tweaks they have to find to get each one to work. Then somebody goes out and delivers the computers, one at a time, and shows the student how to use it and make it do what she/he needs. So far, so good. The point Ken was making (I hope I’m right) is there are several little problems of this sort lying around to catch the unaware user. Some of them will cause problems that seriously interfere with the user’s ability to make use of the computer and will give Loverock more ammunition. Ken and probably dozens of the rest of us are hoping these problems gradually get dealt with and will go away. Then maybe we can spend our time teaching people how to use the computers, rather than fighting yet one more rinky dink issue that made the phone ring. It would be nice if a company like Red Hat or Canonical or Suse would leverage the work that the community is doing and then clean up those little niggling problems that crop up. Instead, it seems like they waste all their resources on coming up with their own versions of how to fix problems that are already solved! How much work did Canonical put into their launchd or whatever it was called, before throwing in the towel and agreeing to systemd? and what about Ubuntu One? and Unity? Suse and YaST. Red Hat and … well actually Red Hat does great but mostly for Enteprise level stuff. So yes, I agree, and I think someone could make themselves popular by actually fixing the bugs instead of developing foolish attempts at setting themselves apart on a superficial level. Not my recollection of Mandrake at all. It consistently worked better than Windows in all ways. It worked ‘out of the box’ with a bigger range of hardware than Windows. It didn’t blue screen. It offered a choice of desktops. Perhaps you were just unlucky but other than having to buy an external hardware modem, everything I ever plugged into a Linux box worked from 2002 when I started, to today. I still have to spend hours periodically trying to work out windows issues and trying to explain to frustrated windows users why their old hardware has been deliberately “not supported” to force them to buy new. My 12 year old printer works with every distro I’ve ever plugged it into (doesn’t work on OSX without a lot of messing around) and my friends expensive professional digital cameras, that don’t work properly on XP or Vista or Windows 7 or OSX, even after installing the suite of support programs and drivers that come on disks with them, work beautifully and flawlessly on Linux. The only real differences between now and 2002 is that Linux is even better, if perhaps somewhat fragmented and Windows doesn’t blue screen as much now as it did then. Personally speaking – calling Android Linux is misleading. Though I get why some do. @salparadise I think you’re reading the article wrong. I agree with you 100% about Mandrake. It was a wonderful distro. And it was much, much better in nearly every way than Windows. Hardware support was a bit of a problem back then, but that wasn’t the fault of Linux. And installing printers and scanners in Windows could be difficult back then as well. I quickly went from Mandrake 9.0 to 9.1 to 9.2, then stayed with 9.2 from 2003 until 2007 when I installed Mandriva 2007. In 2009 or so, I made the move over to PCLOS (a Mandrake/Mandriva clone), then to Bodhi, which I still use on one of my laptops. On another laptop and my desktop I now use Mint with XFCE. What I am saying, sir, is that as good as Linux is, and it’s the best, there is room for improvement. Especially on the little bugs that should have been fixed five years ago. Of course Android is a Linux distribution. Android is just another user interface on top of a Linux kernel. It’s no different from Gnome, KDE, MATE, Unity, Cinnimon or any other Linux GUI. I think people who come from Windows or Macs get confused because MS and Apple bolt down their UIs and don’t distinguish between the OS and the User Interface. But that’s never been true for any other OS and it’s especially not true for Linux and for it’s step daddy Unix. Even at the CLI level there has been a choice of shells from the early days of Unix. When GUIs were introduced there were choices almost from the beginning. Today we have many choices, Android being one of them. You wouldn’t say that the Ubuntu releases that only ran Unity or Fedora 15 which ran Gnome 3 but not Gnome 2, weren’t Linux. Those were lousy releases but they were still Linux (fortunately both distros have MATE spins available now). Android does suffer from the fact that it’s available mostly as forks and that it doesn’t benefit from collaboration like other Linux GUIs. But the same can be said of Unity which is also the product of one company and gets no outside contributions. Fundimentally what we think of as Linux is a giant toolbox from which you can build everything from a watch to a supercomputer. The desktop distros collect most of those components together which allows individuals to roll out the environment that they want. This flexibilty is very powerful in the right hands and it’s what makes Linux Linux. It’s confusing for an unsophisticated user however the tools are there to allow a skilled person to create a system for an unskilled target user. In the Redhat world there is a GUI tool that allows you to modify the installer for Fedora or a RHEL clone so that it will automatically create exactly the system that you want. Not only will it install a complete package set, but you can control the partitioning, create the users and run scripts that configure things to your liking including doing the KDE fix that Ken needs to do. I’ve used that tool to create a DVD that I handed to a local white box computer shop that built some development systems for one of my customers. The guys in the shop didn’t know anything about Linux, their experience was doing Windows installs. But they were able to take that DVD and do a one button install of Scientic Linux 6 that resulted in a completely configured system including user accounts and passwords. I think Linux would see a wider adoption if it wasn’t so married to the command line. Regular users hate using the command line. Period. Geeks like us don’t mind or actually prefer it and often have a hard time understanding and being empathetic to regular users plights. Over the last couple of years Linux UI’s have improved significantly, but for lots of thing you still have to either go to the command line, or edit conf files to do things that other OS’s have a GUI for. We can think like computers, and taking care of minor problems isn’t a big deal for us. But something like editing xorg.conf is just too much for regular folks. The other significant thing is gaming. I still have to keep a copy of windows because many of the games I play won’t run in Linux. But that’s getting better too.